Summer Cooking 2010: The Best Cauliflower Dish in the World? Day two of my visit home and I decided to cook up something unexpected! 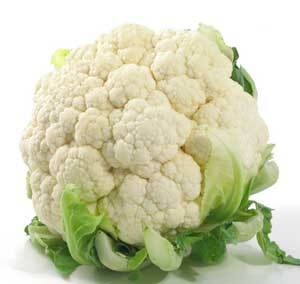 Big, white, fluffy cauliflower! Woo hoo! First of all, my father looked at the huge serving of cauliflower I had prepared and was anything but ecstatic. …great… Ben’s cooking dull, taste-less, rabbit food… I knew this meal could be a tough pill to swallow, so I had to take out the big guns! To clarify, my father is a meat-lover. Most dads are. Steak, hamburger, chicken, or pork should fill the air at most meal times. A major dish at lunch consisting of rabbit food was a little disappointing to say the least. So, I thought… if I could transform the flavor of this vege into something mouth-watering and meaty, what would it taste like? Let’s Tarantino this recipe so that the food-drama doesn’t go to waste… Continue reading Summer Cooking 2010: The Best Cauliflower Dish in the World? Posted on September 30, 2010 November 26, 2017 Categories Cooking, FoodTags cauliflower, char siu, food-drama, garlic, lee kum kee, rabbit food, sausage5 Comments on Summer Cooking 2010: The Best Cauliflower Dish in the World?